This year, February brings us the 7th Annual Women in Horror Month, an initiative that “encourages supporters to learn about and showcase the underrepresented work of women in the horror industries.” To celebrate, Remedial Horror will be dedicating the entire month to our sisters in the macabre. Have you ever wondered how far you would go if you were extremely desperate? Are our principles only as steadfast as our situation allows? If forced with a choice of life or death, what lines would we be willing to cross? These are the questions posed by Antonia Bird's 1999 horror-satire Ravenous. The movie centers on Second Lt. John Boyd, who is both promoted to Captain but also exiled to a remote outpost due to the dubious circumstances under which he overtook an enemy headquarters during the Mexican-Americna War. At the outpost, Boyd and others stationed there find a man named Colqhoun, who claims that he was forced to eat the members of his travelling party after they got caught in a snow storm. All is not as it seems with Colqhoun, however, and Boyd finds himself in a conflict not only with Colqhoun, but also with himself. 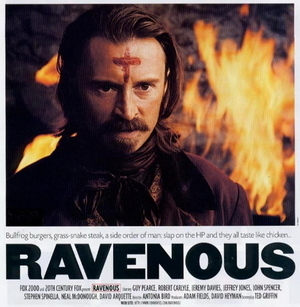 By 1999, Antonia Bird had a long career of directing for stage, television, and film, but Ravenous was her first horror film. In fact, the only reason she got involved with Ravenous was because the first director was fired due to conflict with the producers. She was recommended as a replacement by one of the stars, Robert Carlyle, with whom she ran the production company 4Way Pictures. Much of Bird's previous work focused on political and social issues to bring awareness to hot-button issues of the day. These sensibilities translate well into the movie's contemplation on the struggle to maintain our humanity in the face of extreme circumstances. In particular, the story explores the myth of the Wendigo, an Algonquian-based creature created when a man resorts to cannibalism and transforms into a demon. While some Wendigos are depicted as literal demons, the Wendigos in Ravenous are essentially still human beings, albeit with supernatural regenerative abilities derived from absorbing the spirit of the men that they eat. By keeping the characters human (at least in appearance), Bird makes keeps them connected to the audience. Colqhoun relishes the vitality granted him by eating human flesh, and he has no hesitation or remorse for his actions. 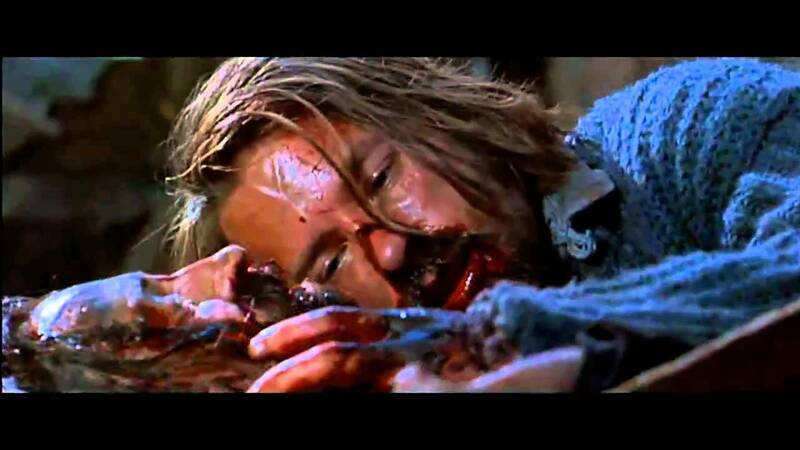 Boyd, however, struggles with his impulse to eat his fellow man and only does so when left with no other choice. The audience cannot simply write these actions off as the acts of fantastical demons. They are forced to ponder these as the actions of humans and therefore wonder what they would do in their place. Unfortunately, this is the last horror movie we'll see from Antonia Bird as she passed away in 2013 due to cancer. But while her foray into horror was brief, it was certainly effective. She manages to get great performances from the entire cast, and she also adds just enough gallows humor to make the horrific elements that much more jarring (think of a scene in which a man is chased down and gutted, all while upbeat banjo music plays in the background). As Bird's sole entry in the genre, I think it's a worthy legacy. Busch, Anita. "'Creative differences' shake Hollywood." Entertainment Weekly Online. April 10, 1998, http://www.ew.com/article/1998/04/10/creative-differences-shake-hollywood. Hardie, Kate. 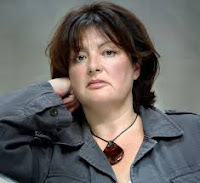 "Antonia Bird obituary." The Guardian Online. October 28, 2013. http://www.theguardian.com/film/2013/oct/28/antonia-bird. "The Wendigo Legend." Gods and Monsters. http://www.gods-and-monsters.com/wendigo-legend.html.